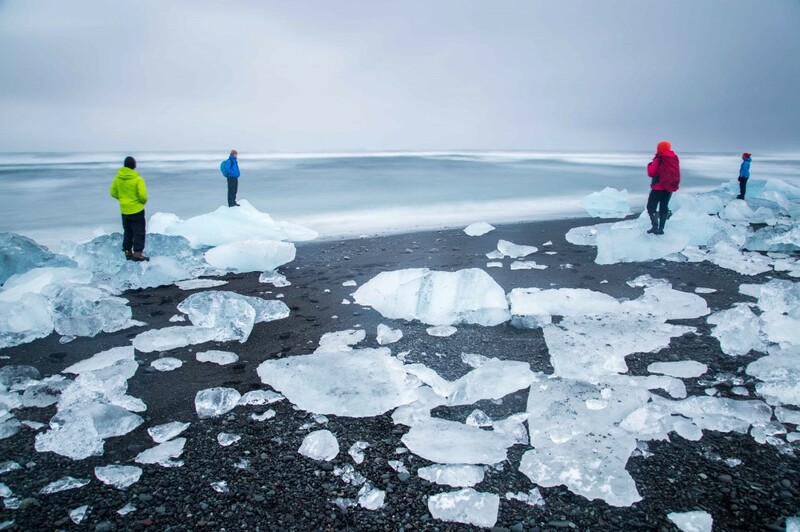 home › posts › Self-Guided Tour Around Ice... ten trees planted for every item purchased. 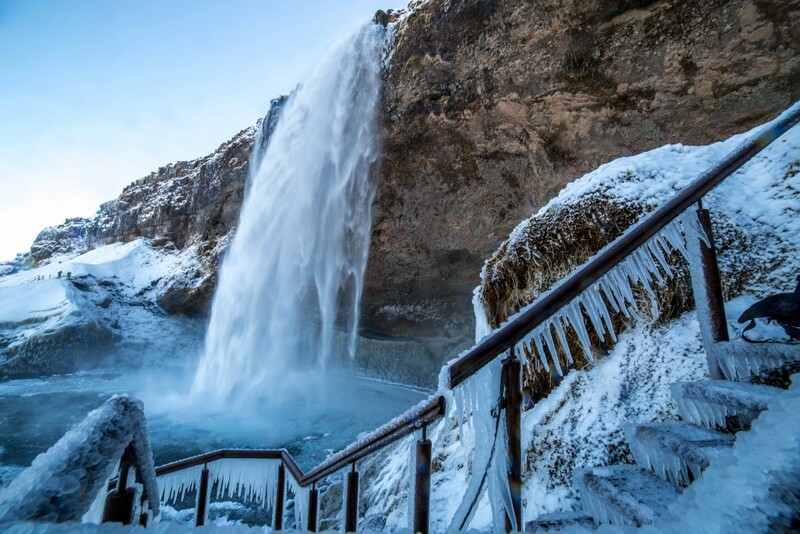 Iceland has been on the radar on social media sites notably Instagram with a massive influx of professional and amateur photographers alike capturing all the beauty Iceland has to offer. I recently went on a 2 week winter camping excursion to Iceland (March 28 to April 10) with @brookewillson (a longtime friend), and two complete strangers @ryanrichardson and @joraed, who are now my good friends! 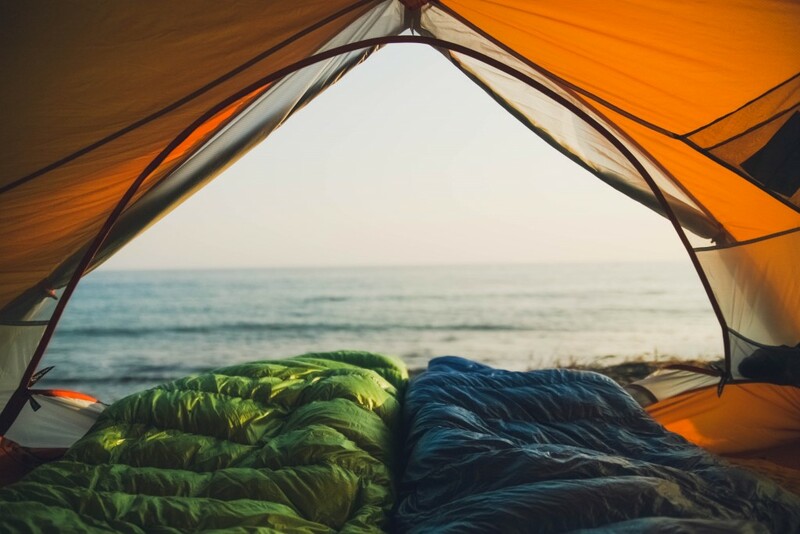 We rented from Kuku campers which had an array of options for whatever type of camping you wanted to do. Naturally we chose one we could sleep in, in case of inclement weather and in the winter/spring/fall which is a guarantee. Here is our itinerary and some helpful tips of how to capture the true beauty of Iceland! Tip: My gear is weatherproof, but if yours is not, be cautious with the waterfalls as the wind changes so does the waterfall spray. Welcome to the world’s northernmost capital! This city has all the culture you could ask for, along with the extremely welcoming Icelanders. Our trip was mainly focused on adventure, but I definitely will be returning to have some expensive beers with the locals, they know how to party. In order to take the best photos here I recommend shooting in the early morning or evening during sunset and to head in the church mentioned below to get an overview of the city! The main sites we checked out were: a. The Hallgrimskirkja (the gorgeous church that overlooks the city) b. Solfar (Sun Voyager) Sculpture c. The Harpa Reykjavik Concert Hall (we admired the beauty from outside, but go in!). d. Mount Esja – it is about a 2-4 hour round trip hike depending on snow and conditions. Pretty straightforward and the views are incredible! Hike classified as easy. Here’s a hot topic do you go or do you not? Well budget depending it’s 42 Euro or approximately $46 and if you go take a GoPro to capture it. You can still check out a part of the lagoon and not pay but as there are some blue pools located left of the entrance, shoot at late evening after the sun has set to be able to see the true blue colour. There are plenty of hotsprings around Iceland if you are looking to just relax and save money, be patient and look elsewhere. TIP: If you see random people in swimsuits in the middle of a field chances are there’s a hot spring. This 200 ft waterfall is located 127km from Reykjavik or about 1 hr 45 min from the city. This has to be one of the most picturesque waterfalls I have ever seen. The best part about this waterfall is that you can go in front of it, beside it left and right, beside it left and right from up above, and of course behind it. So you can really capture its true beauty from every angle. I recommend shooting this waterfall in the later afternoon or at sunset, as the sunrise comes from over the cliffs edge and didn’t provide me with great lighting to make the falls standout. Time to spend 1-3 hours. Right beside it while facing Seljalandsfoss is the hidden waterfall called Gljufurarfoss. A short walk and you’ll find yourself at the mouth of a cave with a stream that barely moves, but then you hear it. The sound of gravity slamming the water against the giant boulders. Enjoy this one. Time to spend here 30 minutes to an hour. This waterfall is completely unique from Seljalandsfoss as it demonstrates the true power of Mother Nature. The water comes over the edge bursting, yet you can get right up close and personal; viewing the waterfall from the West, on the other side of the river, right in front of it and also take the steps up alongside the Eastern side of the falls. This is best to shoot on an overcast day or when the waterfall has direct sunlight where there are no shadows from the cliffs casting on the falls. Morning is also a good time to shoot! Time to spend here 1-3 hours. 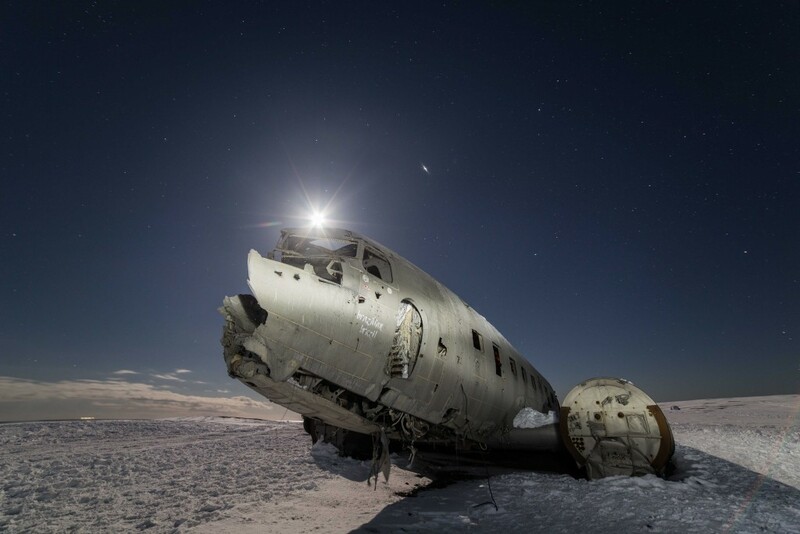 The Abandoned US Navy Plane DC Sólheimasandur 11.2km after Skogafoss or about 11 minutes past it. Google the instructions for the plane name with Iceland in the search and there are many instructions with photos. This sight is truly unique and well known by people wanting to travel to Iceland. It is one of my favourites. Time to spend here 2-5 hours – depending on what shots you want to take etc and exploring the beach. It is a small sign, but you’ll see a large cliff on the right side of the road with a small lighthouse up above. The views up here are abundant. In any direction you’ll have a breathtaking view. 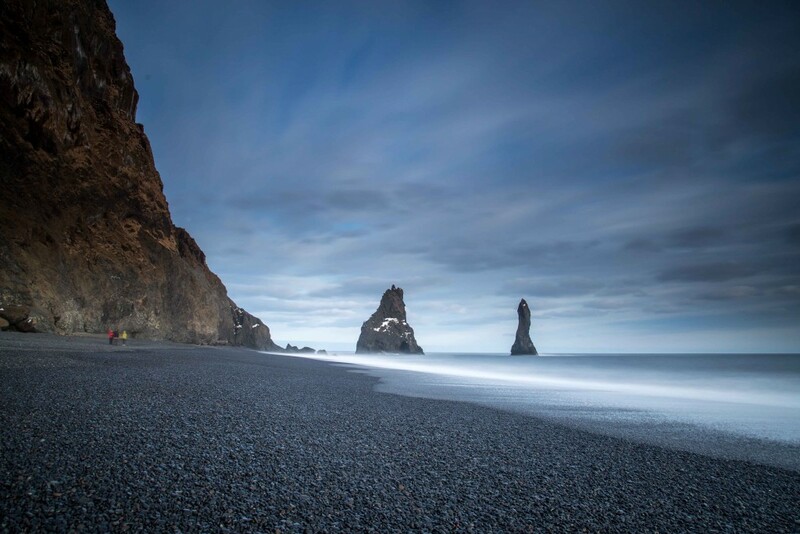 To the east you’ll see the mysterious Reynisdrangar rising up through the depths, alongside a volcanic arch closer to the cliff, to the west looking back towards Selfoss is the endless black beach that contrasts sharply against the sky. To the north is a huge glacier called Myrdalsjokull. Time to spend here 1-3 hours. There is a huge section of the cliffs and beach to explore. Black sand beach which is right before entering the town of Vik. Spend some time here during the early morning or late evening before the sun goes down. The basalt columns are stunning and tempting to climb, but be safe as tourists have fallen to their deaths in the past. 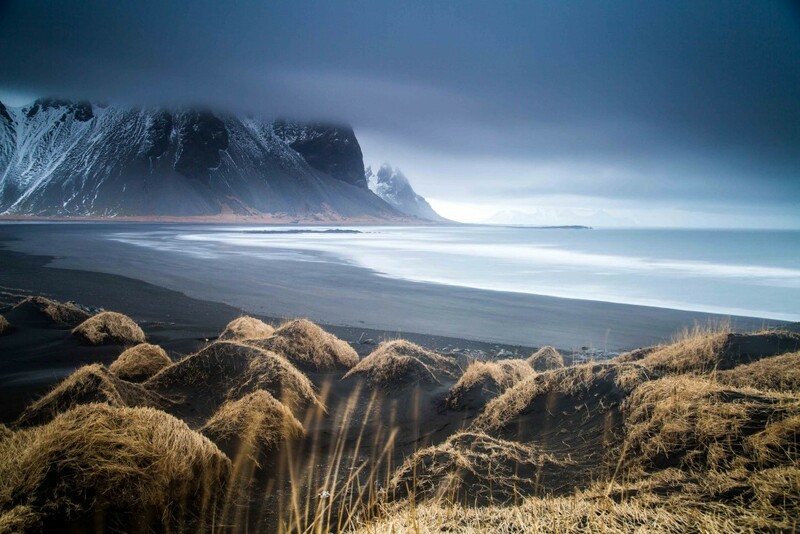 Further down the beach you’ll see the famous basalt columns known as Reynisdrangar. To say this beach area is photogenic is an understatement! Time to spend here about 1-3 hours. Go into Vik, check out the church, Vik beach, and the little town of Vik itself. This is small, charming place with a few restaurants and surrounded by mountains and cliffs. The little ‘elf like’ huts or farm huts as they’re known are here as well at the site called Nupsstadur. Be sure to hit up the Mydralsjokull tour guide of the glacier as well! Time to spend here 2 days and 1 night. To see the Svartifoss waterfall (there are two glacier mouths there, one that you walk from the visitor centre and the other one is when you’re leaving on the left. The Svartifoss waterfall is a highly memorable waterfall with what appear to be honeycomb rocks (basalt columns upside down!) wrapped around the falls. 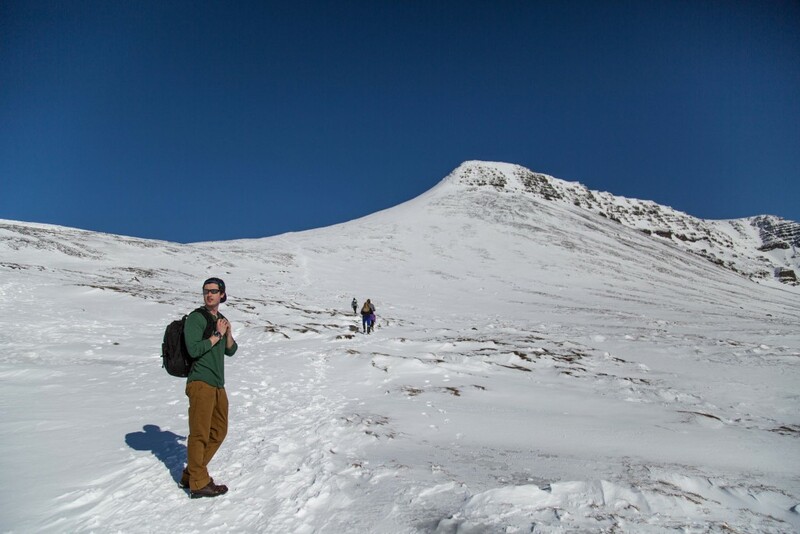 Be sure to get a tour of the glaciers as well. You can walk to them yourself, but it is extremely dangerous without the proper guide and equipment to navigate to the glacier ice caves. There’s an old farmhouse in Sel too that you should check out (those small huts again). Time to spend here 2-5 hours. Next up is Jokularson Ice Lagoon and the black beach (with all of the washed up glacier ice formations). The beach is located on the west side of the bridge; the east side of the bridge beach is okay, but not as good as the west. These sites are best experienced during low light in the early morning or evening, I recommend the early morning though because even though Iceland is not populous this location attracts a lot of visitors so get those shots in then explore without stress! Bring a kayak if you can and have fun with the seals. Time to spend here 2 days and 1 night minimum. This has to be my personal favourite stop along the way. 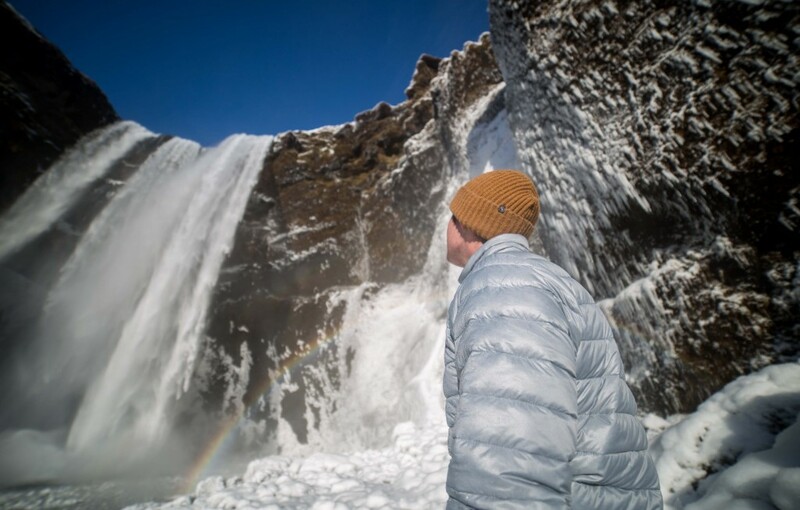 This is a popular site visited by Chris Burkard and Iurie Belegurschi. The Vestrahorn landscape is something to be witnessed any time of the day for the entire day. Spend 2 nights and 2 days if you have time. Driving along the coast taking the #1 highway to Egilsstadir then to Seydisfjordur then to Skalenes. But be cautious this road is absolutely horrendous in the winter. So venture out and take the walk along the fjord and check it out. So if you have seen the movie “The Secret Life of Walter Mitty” the road down the mountain in which he is longboarding is into the town Seydisfjordur! Take a look at the waterfall as you pass by. Spend 1 night and a day and a bit here. Then to Husavik, my favourite little whale watching town located just 40 km from the Arctic Circle as seen here below. This has become the whale watching capital of Iceland. Here is a hindsight tip, when you travel to Husavik spend some time there then head 50km East on Diamond Circle Road to a location called Ásbyrgi. This is a canyon in Vatnajökull National Park that has steep 100m cliffs from tabletop mountains and a beautiful forest which is home to some native trees and some foreign coniferous trees that were introduced. Spend 1 day and 1 night in Husavik minimum. Off to Dettifoss, the most powerful waterfall on the European continent, just off the main road for about 5-10 minutes drive on the northern side. This waterfall can be seen up close and personal in summer, but take caution of course. In the winter you’ll be a bit further away with blockage of paths. Incredible nonetheless. The walk to see the falls takes 15 to 25 minutes depending on snow then it’s up to you how long you stay. Go see Selfoss while you’re here too! 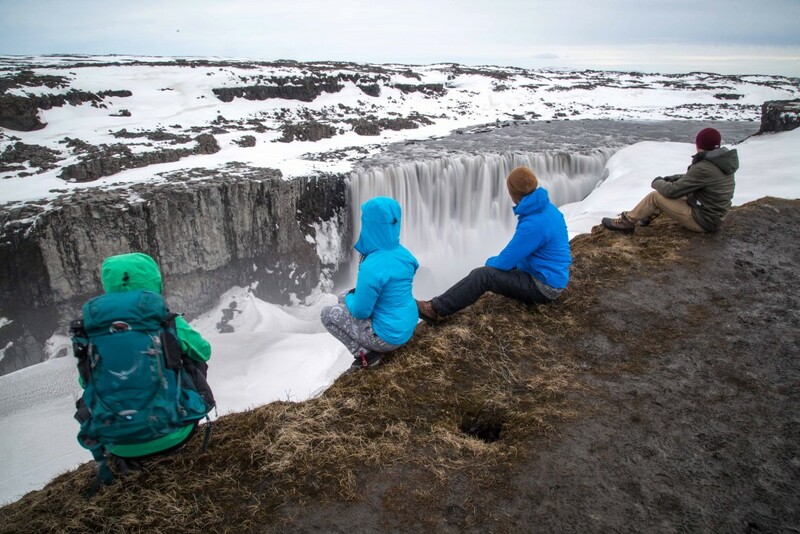 The waterfall is as wide as the cliffs and compared to Dettifoss, gently falls over the edge. Go check out Krafla volcano, I believe this site is better to see in the summer. In the winter we heard of a few vehicles even 4x4 getting stuck on the road to Krafla and Viti Crater. Viti Crater is located here as well which is a massive crater 300m wide filled with a turquoise blue lake. Unfortunately, we had to miss this because of road conditions, but believe me I did the research and know I missed out. Time to spend here 1-2 hours. See blog #2 for places to see 18 to 35! The post Self-Guided Tour Around Iceland (Part 1) appeared first on tentree.